This post is sponsored by Balmex. All opinions are my own. Have you seen those t-shirts -- the "Mama Bear," "Papa Bear," etc. ones? We have some (while writing this post I realized my hub's wearing his in the photo above). Now, it finally makes sense to me why the design probably came to be and why they're popular. Because mama and papa bears protect their cubs, just as we protect our kids. We try our best to protect them from boo boos and falls, from unsafe objects and situations. We hope to heck we can protect them from bad people and bullies. I wish I can protect them from heartbreak and sorrow... although that will likely be out of my hands as those are sometimes just a part of life. One of the things we can protect them from or against is diaper rash. We do so by changing their diapers as needed and with gentle/sensitive diaper changing items. Because the products used matters. Balmex is a diaper cream that protects your baby’s against the 3 leading causes of diaper rash: wetness, skin chafing and digestive enzymes found in dirty diapers. Did you know introducing your baby to solid foods typically increases the change and frequency of diaper rash? We know this all too well because our toddler's diaper rashes really started after he started solids. 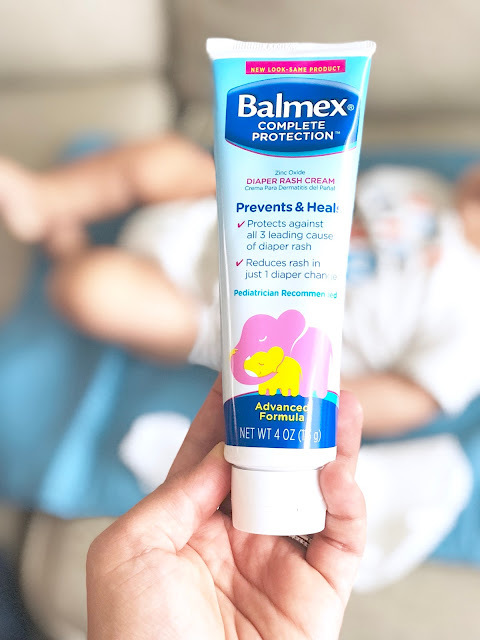 Balmex contains zinc oxide, the #1 doctor recommended ingredient for fighting diaper rash, plus Vitamins B5 and E to soothe irritated skin, and a natural ingredient shown to help neutralize digestive enzymes that are known to irritate a baby’s skin. It is clinically shown to reduce rash in just one diaper change! Chances are your baby has had diaper rashes, too. If you could avoid the rash spreading, worsening and/or becoming long-lasting, you'd surely want to, right? Treating it with the right product is important. That's why having Balmex handy is important. Join Balmex on Facebook and Instagram for giveaways and exclusive offers! For more information on Balmex Complete Protection, please visit: http://www.balmex.com/.